We empower women by providing sewing machines in refugees camps, for women to learn a skill and become independent. Giving second chances are also about empowering people to be independent. In light of this, we decided to empower women in refugee camps in Lebanon. 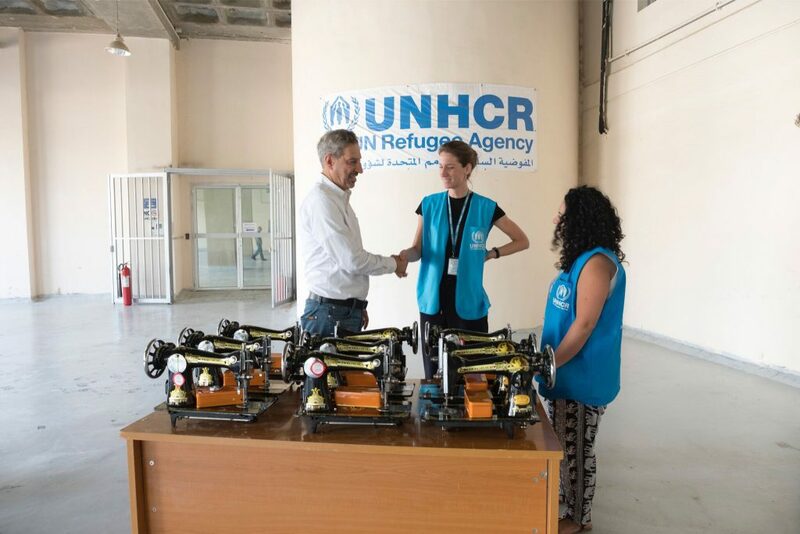 We donated sewing machines; a way to enable them to learn or perfect a skill, which will provide them work, eventually get a job and earn an income. This donation was conducted in partnership with UNHCR.